Everyone knows that reverse psychology essentially involves trying to get someone to do something by suggesting they do the opposite. For example, if I was to ask you to stop reading this article right now and not another sentence …what would you do? In my book, “The Lovemap Code: How To Make Someone Fall In Love With You Using Psychology,” I reveal the psychology of how to program someone to fall in love with you. I also show how to implement this process in a situation where you are trying to get an ex back after a breakup. And one of the key ways I show how to do this is with the use of reverse psychology. The person’s subconscious sees that something important to them (i.e. control) is being taken away, and so it looks for a way to stop this. By doing the exact opposite of what the person is being asked to do, the subconscious reasons that the person can regain control. And so the thing that is important to the person (i.e. control) is maintained. The interesting thing about this is that when you understand how reverse psychology works in a person mind, you can use it to even get a person to do something: Which they don’t actually want to do and which can even be against their best interest. If a girl in a gang of girls is told by one of the groups that she’s not brave enough to shoplift, it often happens that the girl will do just that as proof that she had the guts to do it. And this happens even if she had no need to shoplift and was really worried about getting caught. Essentially someone has got them to do something they didn’t want to do. And this is exactly what you are trying to achieve in trying to get your ex back who may currently be showing no signs of wanting to get back with you. As we can see, reverse psychology is all about control. It’s tied very much to a person’s ego. If you can communicate to a person’s subconscious that their control is being taken away…their subconscious will look for ways to prevent this from happening. In “The Lovemap Code,” one way I show how to do this in getting an ex back is by communicating to your ex that people who were against the relationship (and ideally people who your ex-doesn’t like—such as frenemies) seemed happy about the breakup. 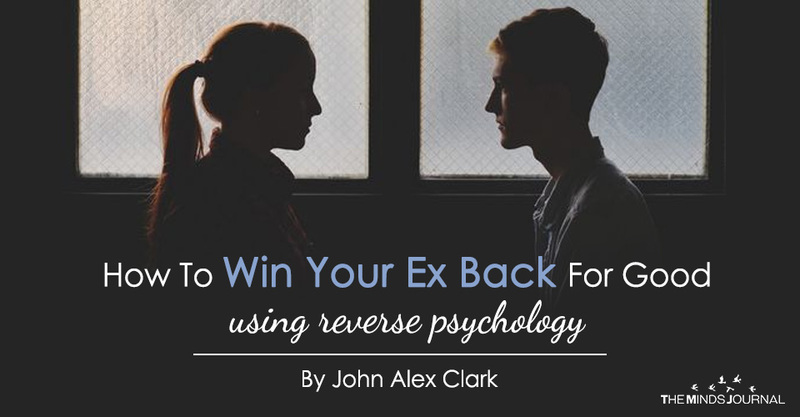 Now, while reverse psychology can be a very effective tool at making an ex-want you back, reverse psychology also comes with a risk.